Hardwood Industries | Butcher Blocks and Custom Glued Products. When your plans call for custom manufacturing, Hardwood Industries has the equipment, wood products and experienced personnel to produce high quality laminated products. 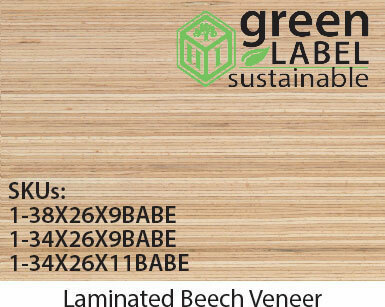 Hardwood laminated products can be manufactured to your specifications and in a variety of species. We stock stair treads, risers and cutting boards in several sizes and species for convenient purchases. We can also custom manufacture laminated butcher blocks or panels and have your order ready for pick-up within a normal 4 to 5 day turn-around. If it needs to be glued, we can do it. We stock pre-ripped blanks ready to glue for quick turnaround times. All made at our facilities located in the Northwest. We make our tops slightly oversized 1-2" in length and 1/2" to 1" over in width. Give us your net sizes when ordering. Trimmed to size is available for an extra charge. Minimum charges apply. Custom: Other makeups using different stave sizes as well as custom species such as Alder, Ash, Birch, Cherry, Hickory, Fir, Jatoba, Mahogany, Red Oak, Sapele, Western Maple, White Oak, etc., are available by special order. 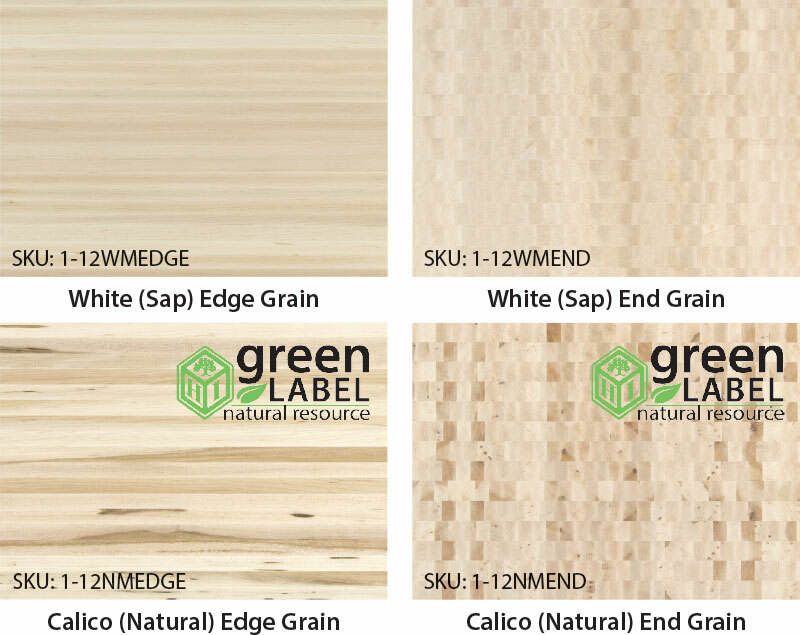 Edge Grain panels longer than 120" may be available. 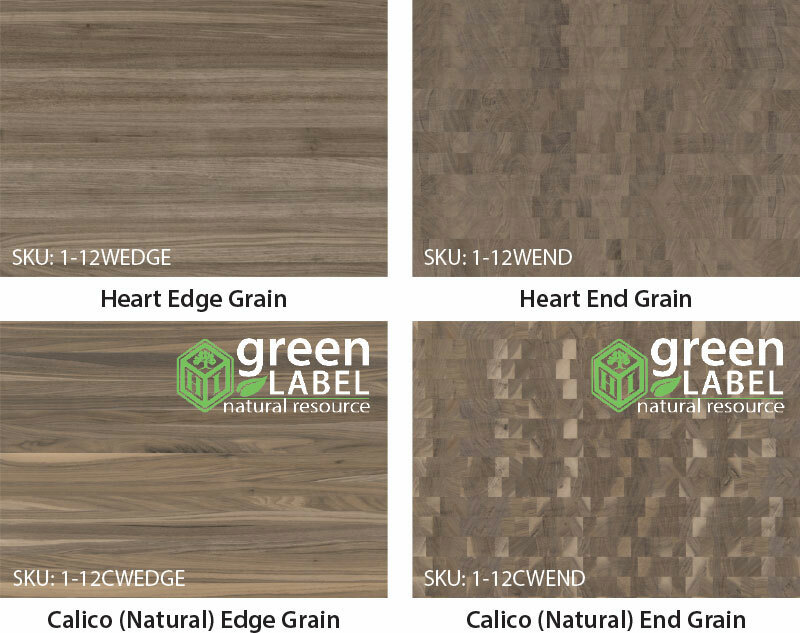 • Edge Grain max size 48" x 120"
• End Grain max size 48" x 48"
• Standard length 117.6" & 157.2"
• Custom panels wider than 26.7" available at 1-1/2" thick and max size 48" x 150"
These HI products promote the full use of the natural resource. 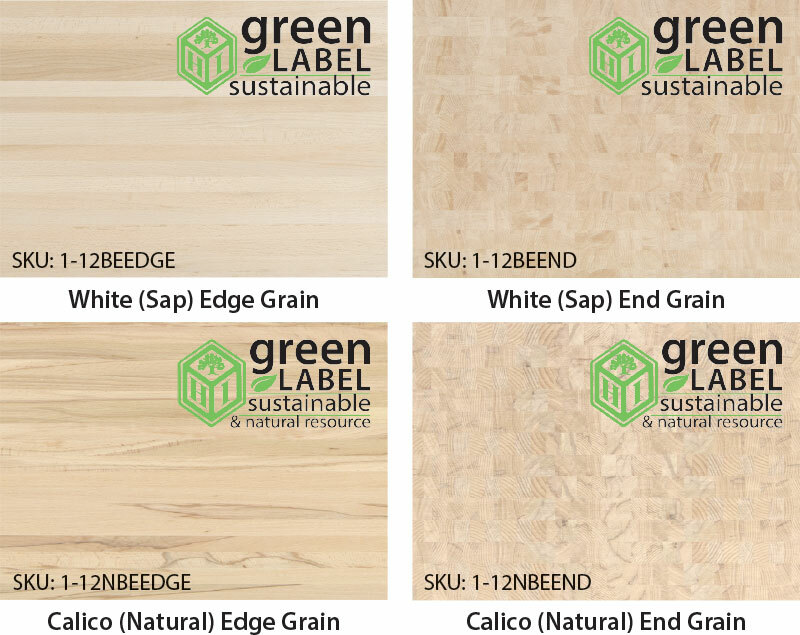 These HI products promote using materials from sustainable forests. Howard® Cutting Board Oil features the penetrating quality of food grade mineral oil enriched with Vitamin E to prevent drying and cracking. Howard® Butcher Block Conditioner adds an extra layer of protection with the water-resisting traits of beeswax and carnauba wax. The only warranty, expressed or implied, is a 1 year guarantee against defect in workmanship and material. Upon receipt of package, through processing, installation and use, the material shall be stored in an indoor relative humidity (RH) controlled environment between 30-44%. Material must be properly sealed and finished on all sides including edges, face and back within 24 hours after opening package or warranty will be void. Tops or panels finished with natural oils or wax require application a minimum of once a month or warranty will be void. This warranty does not apply to warped panels. See our website for information regarding maintenance instructions and warped panels. This warranty does not apply to damages which may result from neglect, accidental or intentional damage, damage or wear to any mechanism, normal wear and tear, misuse of product, unauthorized repair, exposure to extremes in temperature and humidity and alteration or abuse of the product. This warranty, is limited, at the discretion of Hardwood Industries, Inc. to repair or replace the product (or one of equal type and quality if the product is no longer available), within 60 days. Cost of reinstallation, finishing, etc are at the purchaser’s expense. Hardwood Industries, Inc shall not be liable for any loss or damage resulting from use, or for consequential damages. This warranty gives certain legal rights and there may be other rights that vary from state to state.